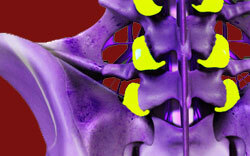 Do you need facet joint pain relief? If you require help coping with facet syndrome, you have come to the right place. We provide comprehensive coverage of all the facet joint conditions, including the causes, symptoms, diagnostic process and various treatment options. We explain facet joint arthritis, facet degeneration, facet joint hypertrophy, pinched nerves resulting from facet osteophytes, facet joint pain caused by ligamentous problems, mechanical spinal joint pain and all manner of specific and unspecific facet joint arthrosis and arthropathy conditions. If you require immediate help, our proprietary pain relief program is available online to provide immediate relief 24 hours a day, 7 days a week, from anywhere in the world. I have been involved in chronic pain care for decades, as a pain coach, educator, research and patient advocate. 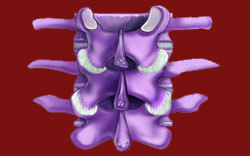 However, I have also been a patient for much of my adult life until finding my own back pain cure. My one and only goal is to help you to be free from pain. 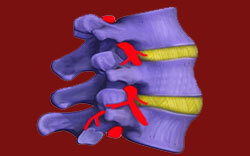 Facet joint syndrome is misunderstood by many people, leading to poor therapeutic outcomes. In order to improve your treatment results, you need to learn all about the diagnosis and this is the right place to accomplish that goal. All of our information is free, so you can take your time and learn everything you need to know. We have helped tens of thousands of patients find lasting relief from chronic pain. This is a claim that no other website dare make, since we are different in our approach and highly successful in our results. Facet syndrome is a condition that can be cured. This fact gives us so much hope and drives us to provide all the latest news in the treatment sector to patients who are desperate for answers to their pain problems. Our major site topics are all listed in the navigation bar. Each resource section is further divided into topical discussions that each focus on a particular aspect of its parent subject. We also offer a site map and a site search function to help you to find the exact information you need quickly and easily across all of our web properties. We do not accept compensation for favorable reviews or preferential marketing of products or services. We always maintain editorial objectivity, since we value your trust and want to serve you well. If you decide to support our work by donating, or by purchasing one of our products, then please know that 100% of the money goes directly to fund our worldwide research, education and advocacy work in the chronic pain sector. In essence, you will be helping us to help others with any show of support. Thank you.